We offer site owners, local authorities, property agents, commercial landlords and developers of sites under construction a unique self-funding solution that often involves no financial outlay on their behalf, yet which delivers results in terms of regeneration, shorter vacancy cycles and increased enquiry levels. Once we have mutually agreed on a sites’ suitability for street posters or indeed for street artworks, TPA will install and maintain to the highest standards and at our expense an execution which meets the brief at street level e.g. if a vacant shop unit is negatively impacting on the high street, TPA will introduce a solution which presents a clean and impactful appearance. The trade-off is simple. In lieu of our investment in creating clean, attractive and well maintained frontages, TPA is entitled to sell advertising panels on the street-facing sides of the site. 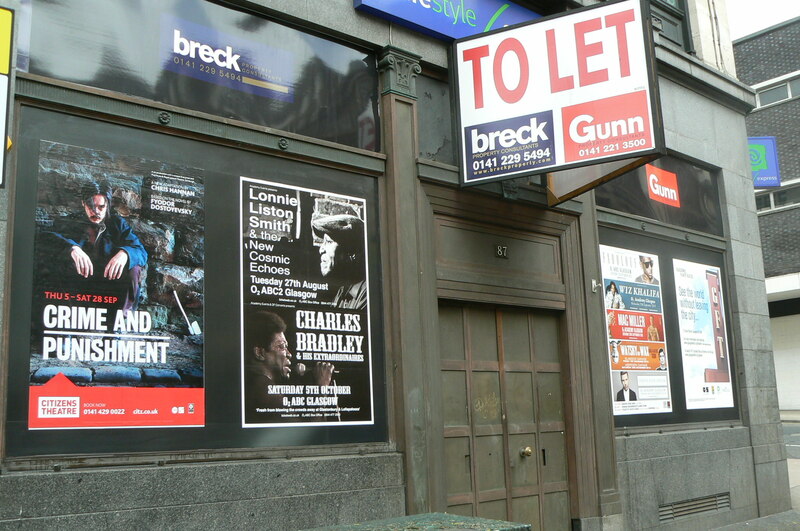 In the case of sites or shop units to let, we often provide the landlord with panel space in which to advertise the site or unit to let which will in turn generate enquiries. Please see our showcase of retail units. In fact our self-funding model saves local authorities and site owners money by reducing their capital expenditure and outlay of resources and materials when attempting to tackle anti-social behaviour such as illegal fly posting , unsolicited graffiti and vandalism. In many instances TPA can enhance and make-safe hazardous spots such as derelict and neglected areas or construction sites. See how we did just that at Clyde St, Breadalbane St, and Argyle St and see more examples in the gallery and TPA case studies. Worried about your site looking untidy or run-down? Contact us today to discuss our Self-funding model.